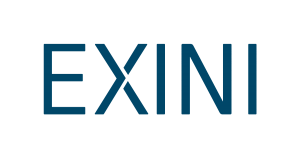 EXINI® is a Registered Trademark. The materials on this website are of a general, informational nature. The content does not purport to be exhaustive and should not be relied upon as a substitute or replacement for individual medical, technical or instructional advice on any specific matter. If you have a specific question, you are most welcome to address it to one of our representatives or through the appropriate e-mail. Links to other websites are for information only. We do not endorse or accept any responsibility or liability for the material on any website referred to or accessed through this website. All links to our website should go to the top-level page.